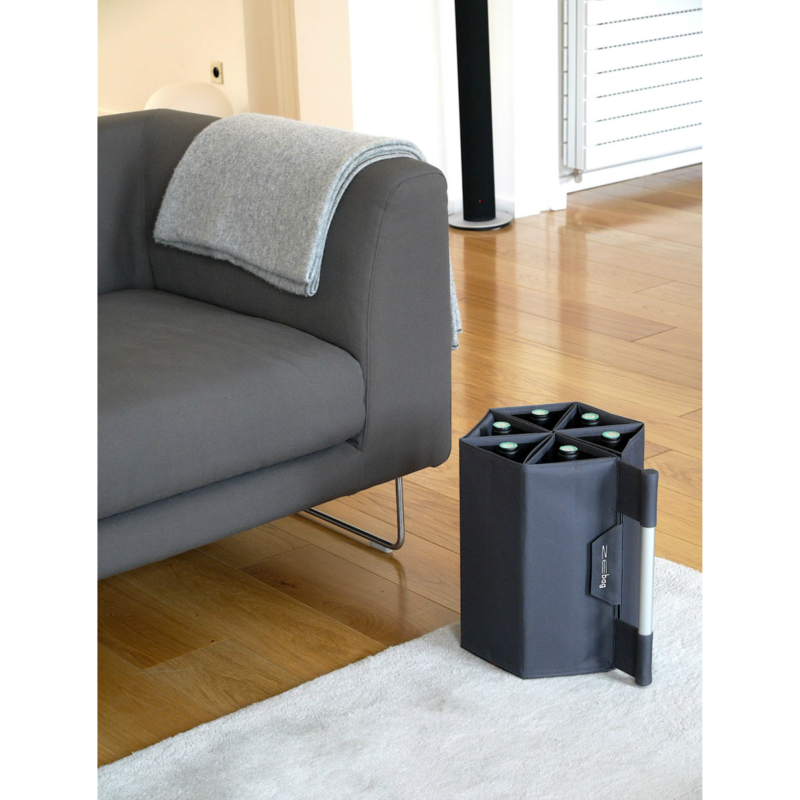 Zebag is a smart bottle carrier that allows you to carry around multiple bottles of wine (max of 6). 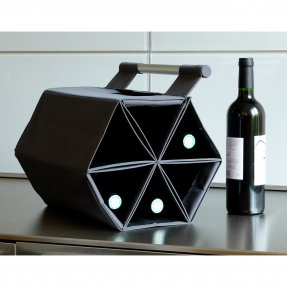 Made by a French company, the hexagonal ZEBag holds six bottles when carrying and eleven bottles when flat. 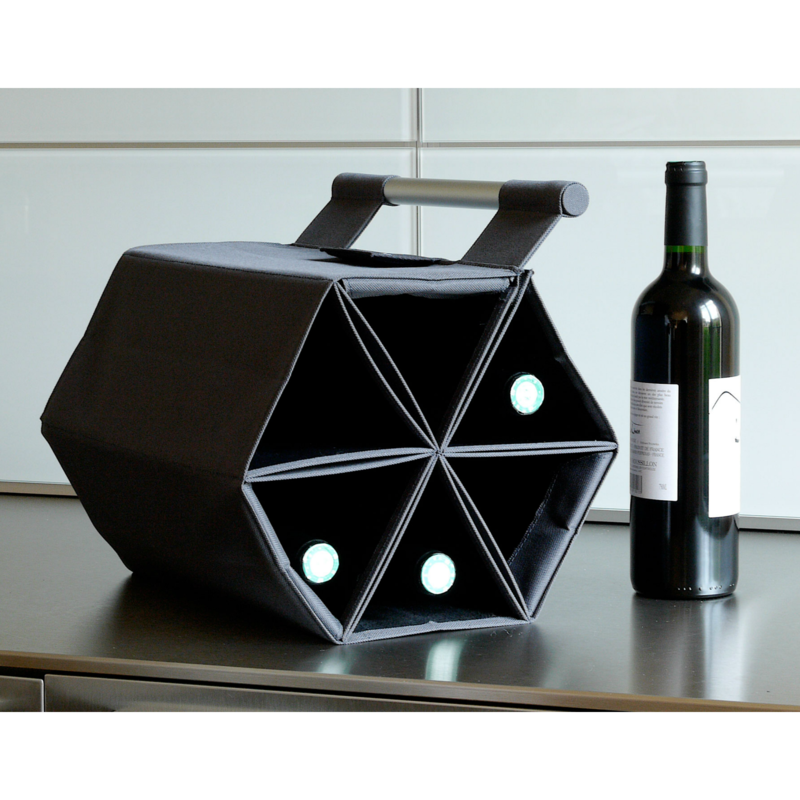 Originally designed in France, the Zebag appears to be a little gem for everyone who uses and handles wine daily. 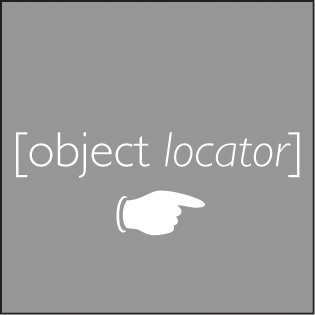 It carries, stores, presents, holds and shows off. It can be used for many purposes. 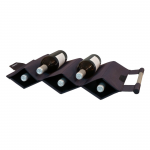 In bar mode, the bottles are accessible and easy to grasp. 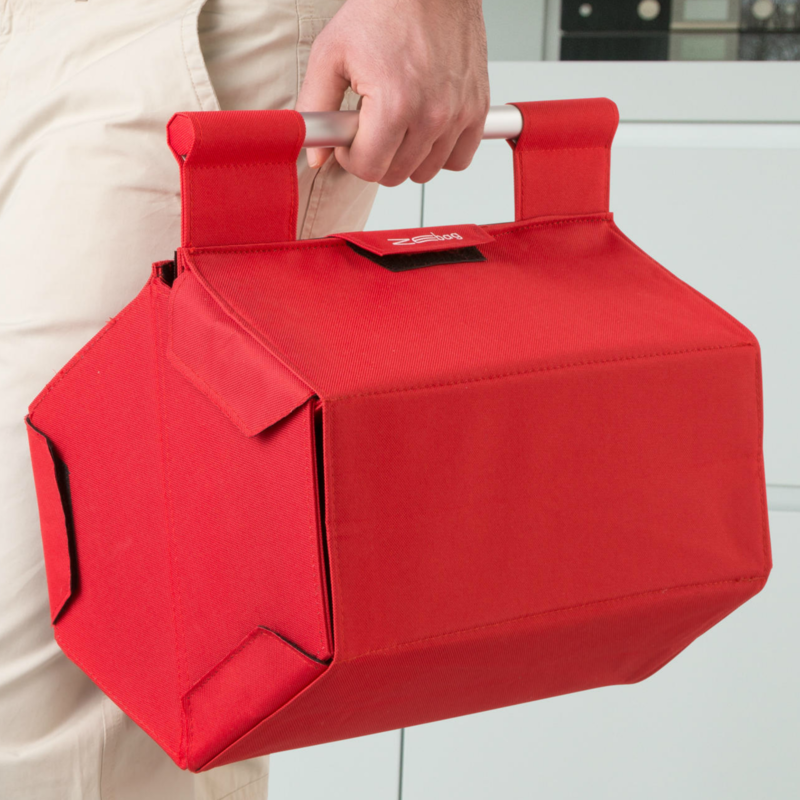 When fully closed it becomes an original and secured companion to carry your bottles. It stores bottles horizontally at their best, open at one end and laid flat for a compact wine rack. It can be spread out flat on a work surface, shelf or kitchen table or hung vertically creating a space saving mural wine display unit. It comes in four colours: black, red, khaki and grey and it is made of a durable impregnated fabric. The side flaps are removable and can be attached or detached whenever necessary. 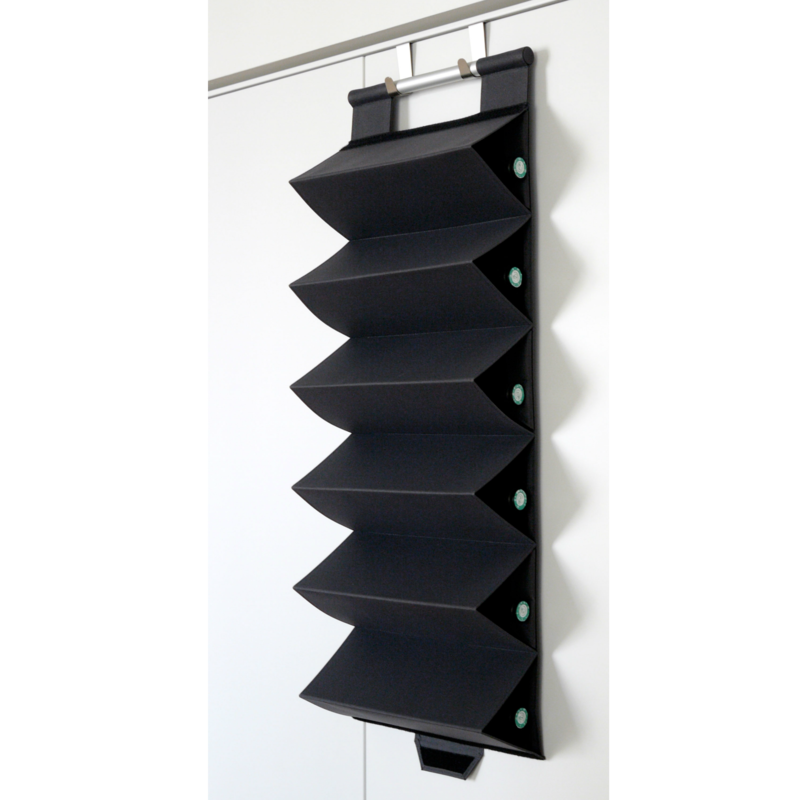 Each Zebag comes with a wall rack that can be fixed to the door or wall and allow you to hang it.